Over the last 10 years we have created thousands of incredible wildlife experiences for our clients, some returning to Africa every single year. As a result, our repeat & referral business is booming and we are fortunate enough to consider many clients as personal friends. We LOVE sharing our experiences and talking about Africa so whatever you are planning, get in touch and let’s chat. 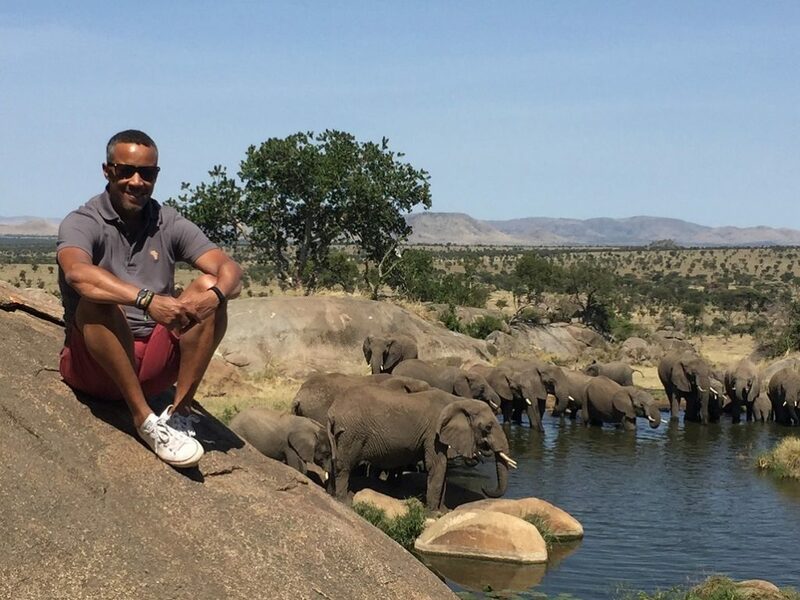 John established Opulent Africa with the sole aim of building a luxury travel company capable of delivering a highly personalized service to a worldwide clientele. John draws on his experience of having lived, worked and traveled extensively throughout the African continent over the last 30 years. “I am an adventurer at heart and love exploring new places. Over the years, I have enjoyed many unfortgettable experiences throughout Africa, from close encounters with all manner of wildlife to “sleep outs” under spectacular star filled skies. Donna is our Vice President and leads the operations and reservations teams. 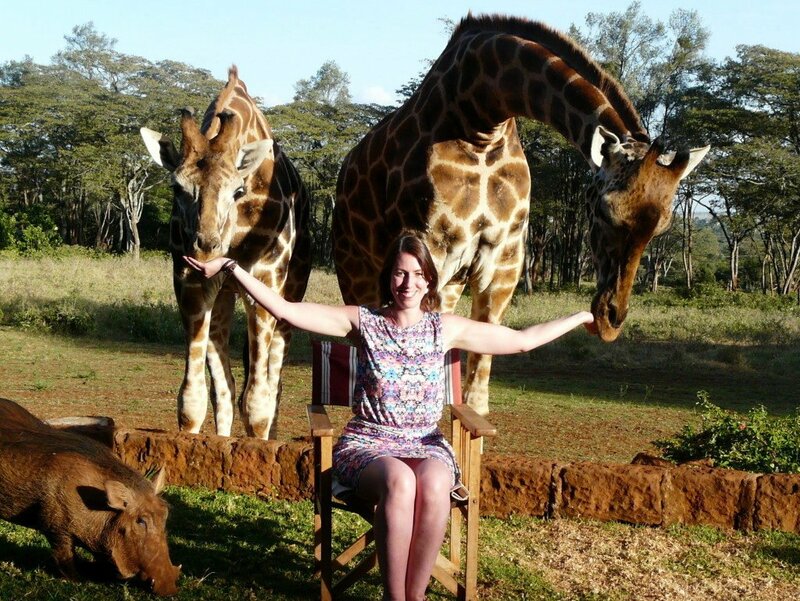 With over ten years’ experience in the Africa travel industry, she oversees every one of our client’s vacations with meticulous attention to detail. Donna has a unique ability to get even more excited about your vacation than you and never tires of talking about Africa! “In my Africa travels I have taken a mud bath with baby elephants, hand-fed giraffes, paddled a canoe between angry hippo’s, caught a tiger fish, trekked the magnificent mountain gorillas, watched chimpanzees swoop through the trees and laughed at the playful golden monkeys. PASSION: we LOVE Africa and our company is the product of love and respect for its incredible wildlife, diverse culture and spectacular landscapes. We guarantee that our “Africa Experts” will get almost as excited about your adventure as you do and we never tire of helping people enjoy one of the most exciting and unique wildlife experiences imaginable. CONSISTENT & RELIABLE SERVICE: each of our clients works with a dedicated specialist (the same person manages with your booking from start to finish). We keep in touch with you right up until departure and are always on hand to answer any questions from visa information, tipping guidelines, what to pack and “can I take a hair-dryer” questions! VALUE: we have negotiated the very best rates with our partners in Africa, ensuring that we remain super competitive with our pricing, whilst adding value to your trip. You will not pay any more by booking your trip with us as a package compared to booking each element individually. NO CREDIT CARD FEES: unlike almost every other travel operator we do not charge any credit card fees including Visa, MasterCard or AMEX. Other companies will typically add a 2% minimum charge for credit cards which (if booking directly in Africa) can be anything up to 7%. INDEPENDENT: we are a 100% privately owned and independent company which gives us complete freedom to create the best itinerary that is suited to you. We are not obligated to or incentivized by any properties so we will always give you our completely unbiased opinion. Our country specialists regularly visit Africa to conduct site inspections on every single property we book, ensuring they meet the highest standards for inclusion in our portfolio. FLEXIBILITY: the trip ideas and inspirational information on our website has been designed to fire your imagination! Our speciality lies in creating individual trips from scratch to meet your personal requirements and we are always happy to keep ‘tweaking’ things until you are 100% satisfied. We always welcome your input and work with you to create your perfect “Bucket List” safari experience. PEACE OF MIND: we have a 24-hour emergency contact line for our clients to use whilst travelling and we also provide emergency contact numbers for our partners on the ground in Africa. FINANCIAL PROTECTION: you will be fully covered and protected financially when you book a trip with us. We are bonded with the Civil Aviation Authority in the UK and our ATOL number is 7303. We are a registered California Seller of Travel in the US #2116014-40. In addition, we have comprehensive travel supplier failure insurance in place in the unlikely event that one of our partner fails after payment has been made for your trip. INFORMATION: we provide all of the information required to help you prepare for your safari, from guidance on visas, passports, vaccinations, clothing, safety, currency and how much to tip. You can also stay up to date with our news and latest information us on our social media channels. THE BEST PARTNERS: over many years, we have established excellent relationships with all of our partners in each country that we operate. Our professional safari guides and drivers are hand-picked by us and are as friendly as they are knowledgeable, many developing specialist fields such as photography or birding. THE COMPLETE PACKAGE: if you are planning on linking your African adventure with a trip elsewhere in the world, let us know…. we can easily customize an itinerary that hits the spot!